Jeju Island is a popular island destination in South Korea. It offers a range of activities and adventures. The island features several wonderful sites and natural attractions such as folk villages, mountains, beaches, waterfalls, botanic gardens and lava tubes to name a few. 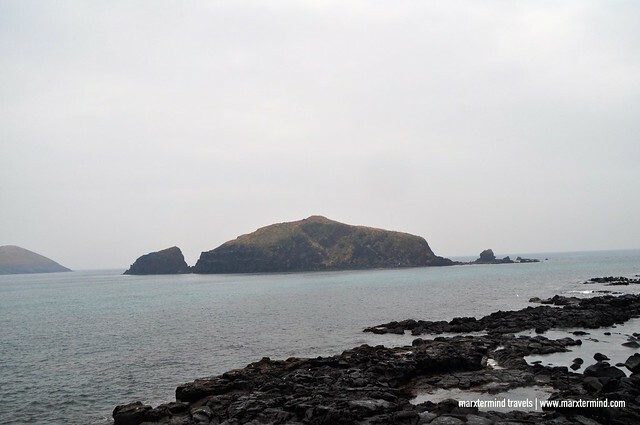 Jeju is a big island with two major cities; namely, Jeju City and Seogwipo. Tourist spots here are in different areas so stay for at least two full days. Public transportation in the island is limited to buses and taxis. So for sightseeing, I suggest to either rent a car or join a group tour. If alone or traveling in a small group, I recommend joining the group tour by bus. It’s cheaper and convenient. These sightseeing tours in Jeju Island are divided into three courses such as the Jeju Island West Course Tour, the East Course Tour and the South Course Tour. I spent my first day in Jeju Island exploring the west side. I joined one of the tours offered by KKDay. It is a reliable travel platform that offers local activities and unique experiences online. Joining the Jeju Island West Course Tour was fun, informative and enjoyable. 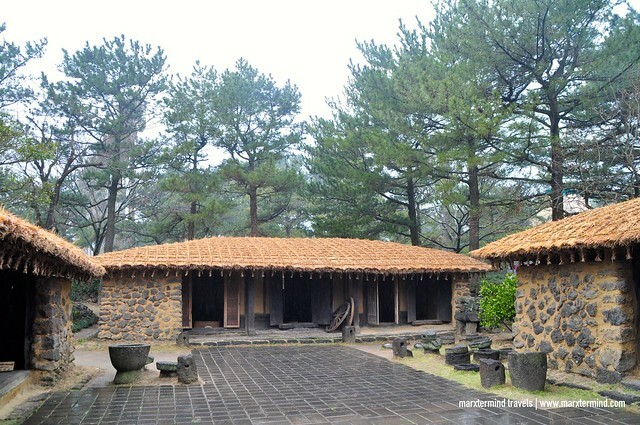 The full-guided bus tour let me discovered the wonderful attractions of Jeju Island. 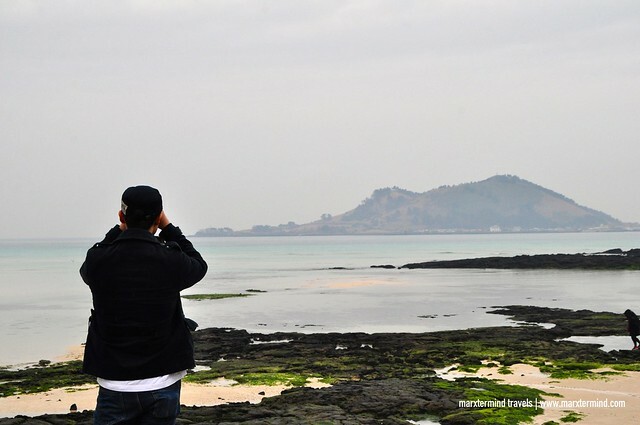 The western part of Jeju is where the beauty of the island starts with its seaside line and white sand beaches. Our first stop was Hyeopjae Beach. We drove from the city center for around an hour to reach this place. The beach is regarded as one of the most beautiful beaches in Jeju. It has white sand, volcanic rocks, turquoise water and a nice view of Biyangdo, which is a small island off the coast. The area has nice scenery and often busy during the summer months. 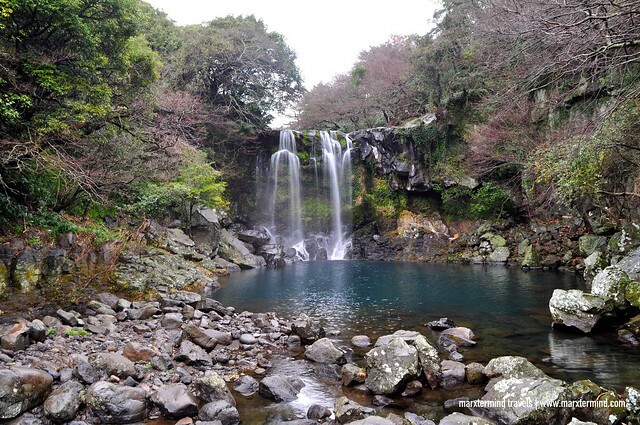 One place to visit during the Jeju Island West Course Tour to see gardens, waterfalls, caves, and Jeju Stones among others is the Hallim Park. It is a popular tourist spot with several attractions to enjoy. 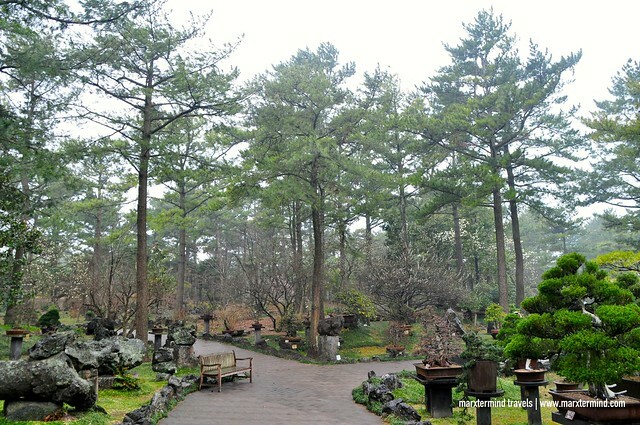 The park is just around 5 minutes drive from the famous Hyeopjae Beach. Hallim Park is a fantastic all-in-one tourist attraction that has botanic gardens, bonsai garden, folk village, lava caves and waterfalls. We stayed here for more than an hour enjoying the variety of gardens. 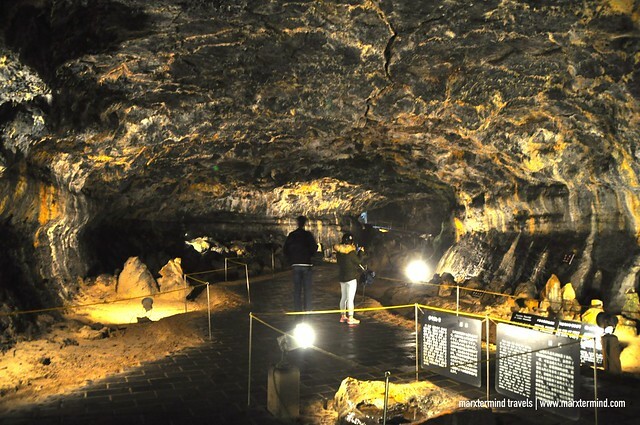 The most famous tourist sites here are the Hyeopjaegul and Ssangyonggul Caves, which are known to be the only two-dimensional caves in the world. Hallim Park also features a folk village, children’s amusement park and outdoor resort facilities making this place more enjoyable. Although the weather wasn’t that good during the tour, our group still opted to continue with our third activity, Suweolbong trekking. During sultry weather and heavy snowfall, the alternative tour is a visit to Jeju 2nd War Museum. The trek is around 20 minutes along the Olle Trail, which has spectacular views overlooking both Suwolbong (Peak) and Chagwido (Islet). This place is the first Geopark site designated by UNESCO’s Global Geopark Network. There’s also a mythical legend about Suweolbong that makes it also an interesting place to see. Jeju Island is one of South Korea’s major tea growing regions. Its volcanic soil and sub-tropical climate make this island as an ideal place for tea growing. The island has now a lot of established huge tea operations. 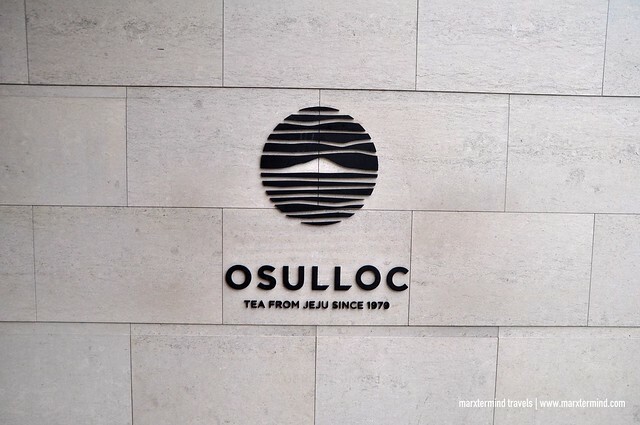 One that we visited is the O’sulloc Green Tea Field. We spent half an hour at the museum. It was crowded but a nice place for visitors to enjoy unique o’sulloc teas. The museum also features exhibition halls and teacup galleries. I went to the observatory and saw nice scenery of the plantation. 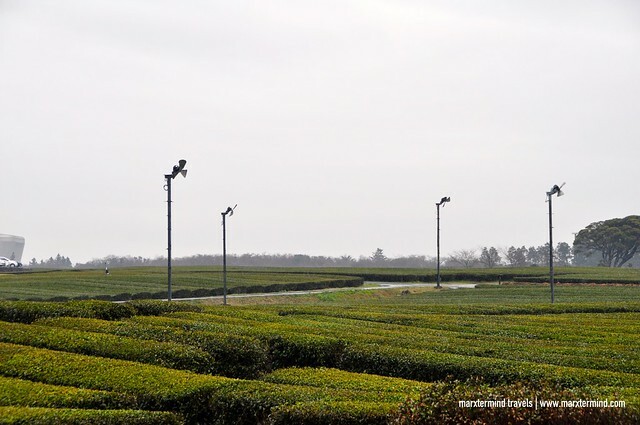 These tea gardens and plantations are across the museum that visitors can also check out. 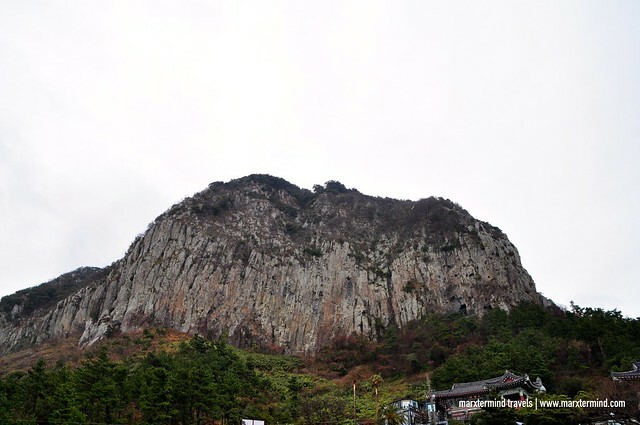 Sanbang Mountain is an inactive volcano in Jeju Island that has no crater, and is said to be the top of Mount Halla. Sanbang san means “Mountain-rom Mountain” because it has a grotto-cave that looks like a small room. Just like any other places in Jeju Island, this volcano also has a number of interesting legends. One interesting activity to do here is to trek to the top of the bell-shaped Mount Sanbang, where Sanbanggul (Sanbang cave) is. The trek takes about an hour or so. Some of us went. It wasn’t easy but on top, we got rewarded with spectacular view of the ocean. We also saw a statue of Buddha. The last part of the Jeju Island West Course tour was either a visit to Cheonjeyeon Waterfall or Teddy Bear Museum. Of course, I chose the first. And I made the right choice to see these wonderful waterfalls. Cheonjeyeon Waterfall is a three-tier waterfall. Cold water flows out of the ceiling of a cave to make the waterfall. Around the falls are also variety of plant life thrives. According to a legend, Cheonjeyon Falls means “the pond of God” where nymphs descend to take a bath. Jeju Island seems to be filled with a lot of legends. Jeju Island is a fantastic destination in South Korea. 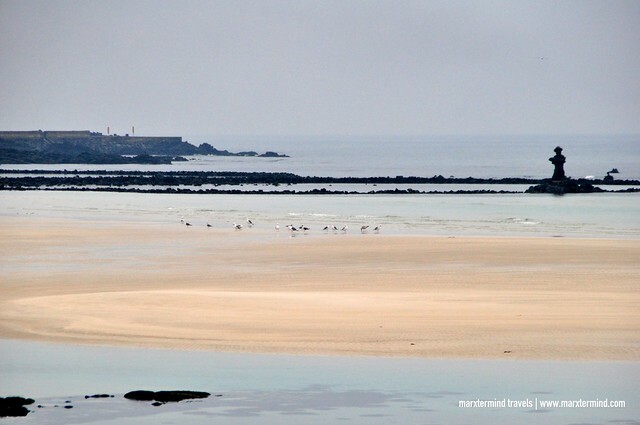 It’s a wonderful island with several tourist attractions to see. I enjoyed my first day of sightseeing. The Jeju Island West Course Tour definitely made my first day in the island a fun and pleasant vacation. Baka mas mag mukha po akong alalay sa inyo.